Campbellsport junior Chloe Koth won 2nd place and a $1,000 scholarship at the 2018 IGNITE! 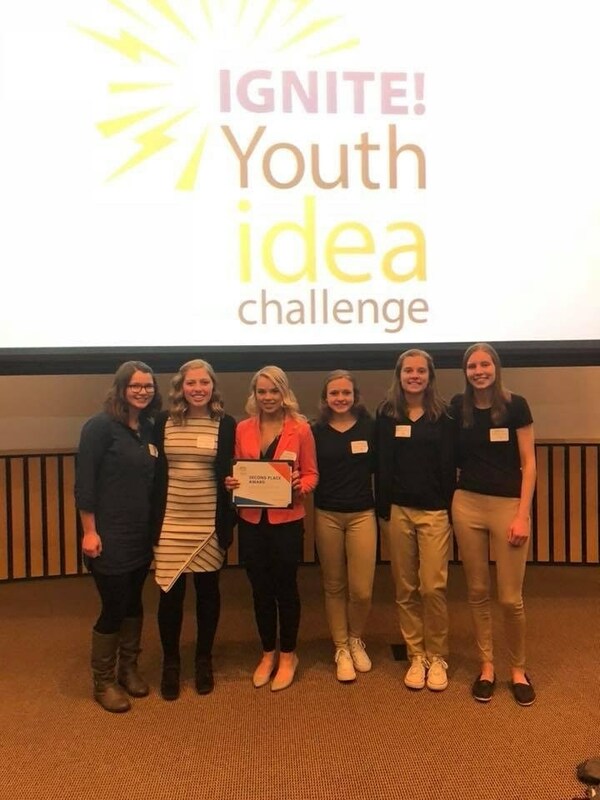 Youth Idea Challenge at Marian University on April 18. Mentored by Diana Hammer (UW Extension, Fond du Lac County), Chloe created a business plan to create and sell affordable, cruelty-free makeup palettes. Also competing in the challenge were seniors Amanda Goeman and Megan Gassner, mentored by Joe Truesdale (wisnet.com) who created a business plan for an affordable lakefront bed & breakfast in Fond du Lac; and sophomores Melissa Gilles, Calla Loehr, and Andrea Yahr, mentored by Ike Perron (Perron Trucking) who created a business plan for an app to manage school library resources. We would like to recognize these six students for all of their hard work and creativity that went into these business plans and pitches and we hope that they continue to be successful in their future entrepreneurial pursuits! We would also like to express our gratitude to mentors Diana Hammer, Joe Truesdale, and Ike Perron who took the time to work with these students and share their knowledge of entrepreneurship and business ownership.